Can We Push Past The Limits of SSDs and Flash Memory? SSDs have become very popular ever since they were introduced as a very solid (forgive the pun) way to store your files. 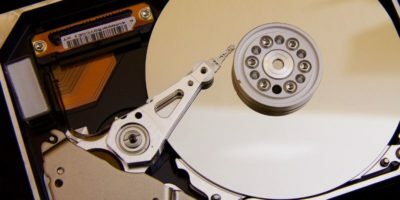 They’re more shock-resistant, transfer files faster (most of the time), and they’re not extraordinarily expensive compared to hard disk drives with spinning platters that can crash at any time when the magnetic heads that record their data so much as touch them. This sparked a revolution in computer hardware and made field workers who had to carry large amounts of data through rough terrain much happier. Congratulations. Your life is easier. But the battle isn’t over yet. There’s a limit to what SSDs can do, and we need to push those boundaries so far that we will create something unrecognizable. Enter racetrack memory. 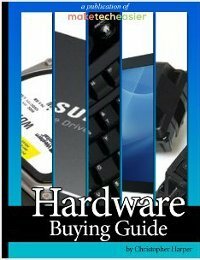 Major sites like Engadget have reported on September 5th, 2014, that IBM has initiated research into a commercially-viable storage device that would, in the publication’s words, “kill the hard drive that IBM invented“. But is this really the saving grace – the Holy Grail of storage – that we have all been looking for? Does the hype fit reality? We’re about to find out as we dive deep into how the technology works! Stuart Parkin, a fellow at IBM leading the project to create this monstrous storage medium, has made some claims that peaked my interest, particularly one in which he said that racetrack memory would be able to store as much as one-hundred times more memory than flash memory could in a given amount of space. 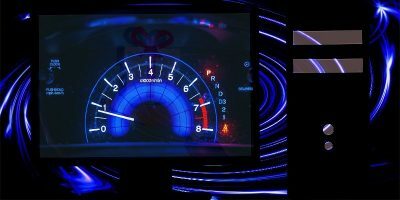 In addition to becoming a leviathan of storage capacity, a racetrack memory device would be able to perform much faster – as much as a million times faster – than hard drives. But perhaps one of the most noteworthy claims is that this storage medium would be nearly as cheap, if not cheaper than, what we’re currently using in our computers. 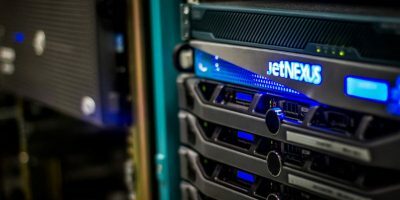 If this is true, the computer storage markets will go through a major paradigm shift the likes of which haven’t been observed since the IBM 350 hard drive first appeared in 1956. Please forgive me if I sometimes oversimplify this. I know that this may not satisfy the major science geeks among our readers, but it’s meant to be an explanation that anyone can understand. The reason why these drives are called “racetrack” drives is because they are composed of tiny magnets sitting along something that resembles a racetrack. 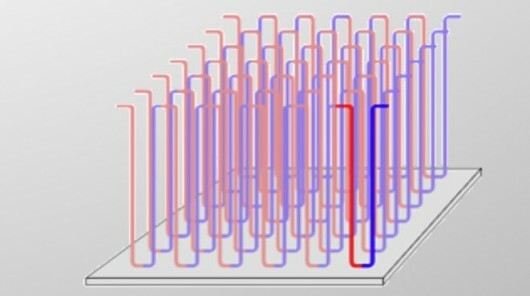 The drive works by running spin-coherent electrons (electrons whose spins are “pointing” in the same direction”) across the track to influence the direction in which these magnets are aligned. 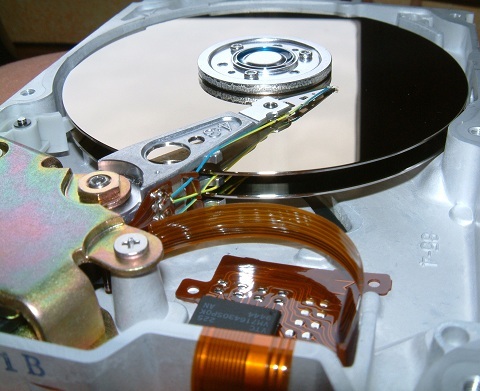 The alignment of the magnet (much like in a hard disk drive) determines whether the value of a bit of stored information is a zero or a one. Electrical currents are also shot across wires to shift the magnets around for read/write access across their respective tracks. Theoretically, we could be standing at the precipice of a new kind of storage that does everything we could have ever wanted it to do. In the future, we could have drives that store 100 TB of data within a regular 3.5-inch bay. However, we can’t pretend that this is going to be easy. There’s a reason why no one is announcing that racetrack memory is very near a minimum viable product. 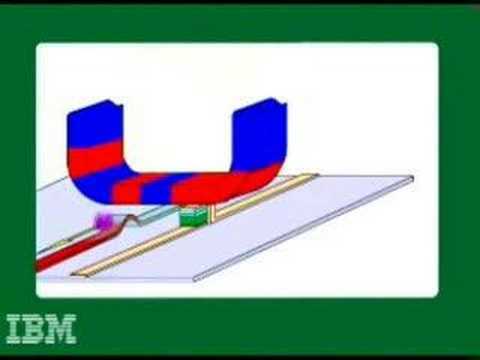 As far as proof-of-concept is concerned, IBM’s Almaden Research Center has managed to demonstrate racetrack memory’s capability to work as a concept. However, this is nothing compared to the steps that IBM would have to go through in order to properly demonstrate that this technology is viable for consumers. We still don’t know whether the technology would be as affordable as its developers claim. We also run into the issue of speed. In the early stages of development, racetrack memory was actually pretty slow. It moved just as sluggishly as a hard drive, requiring slower pulses to push the tiny magnets in their necessary pathways. A university later found that there were imperfections in the crystals found within the drives. These little imperfections pushed the magnetic elements out of their proper path. We don’t know exactly what IBM has done to circumvent this, but Guido Meyer of the University of Hamburg (see previous link) has stated that a change in material, or the shape of the medium itself, could solve the issue. In short, we don’t have conclusive evidence that racetrack drives are a reality in the near future, or that they would outperform what we currently have in terms of speed. This is not to say that the claims are false. There’s just no working test drive at this moment, so we really have no way of verifying the true efficiency at which racetrack drives would operate. 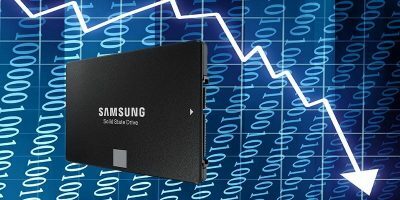 As far as durability is concerned, however, there is very little doubt that they would be significantly more durable than SSDs. Let’s hear what you have to say about racetrack drives. Is this just another idea that will fall into the backwaters of failure, or is IBM heading in the right direction? IOW, as of now, these devices are nothing but vaporware. Kind of. It’s a tangible objective. The science is solid. We just need to commercialize it somehow. The technology is promising, definitely. If it doesn’t meet expectations, at least it will be as fast as current HDDs with tons more reliability than either HDDs or SSDs. We’re in for a real treat if it comes to market. NO! (Can We Push Past The Limits of SSDs and Flash Memory?) Not as long as industry schill journalists let drive manufacturers get away with their lies. Why quote 150 years mean time before failure when chip makers quote 10 year maximum data storage for the individual flash storage chips? Raw Flash has an inherently high error rate on read, so the on SSD controller corrects the error and writes the corrected data back to Flash (assuming the power is always on and correction is within the maximum writes allowed by the Flash memory chip). Current limitations on magnetic media is in the ability to accurately read data; data can be written at densities 100x that (like this article notes). 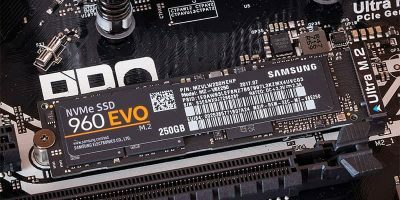 SSD are Flash technology limitations. DRAM limitations on quantum cell charge effects as are flash memory cells. 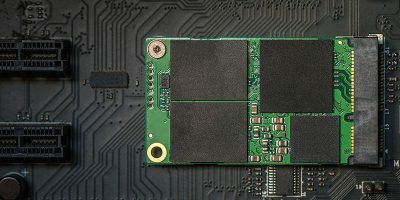 Power up of off or sleeping SSD components are similar to Magnetic media spin-up and similar power for controller and interfaces. Rotational maintenance energy is lower than keeping Flash in active mode. In both cases the statistical error rate for large SATA drives makes Mirroring (RAID 1) unreliable >1TB and RAID 5 >2TB. RAID 6 and Double Mirroring begin to fail in recovery above 10TB.